There’s a whole other world to being an effective expert Android designer than simply knowing the intricate details of the Android SDK. From profitability, tips to ensure that you give your clients the most ideal experience and this is where this blog post here comes to “the rescue”! Declutter your android tools and arm yourself with only the most essential android app development tools. 1. Takt – Takt library will help you check your app’s FPS thoroughly and detecting bugs right in its development phase. Thus, Takt helps in saving a lot of time. It measures FPS using Choreographer. Know more about Takt. 2. 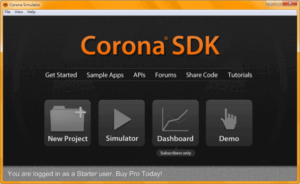 Corona – Corona is a cross-platform framework used for rapidly creating apps and games for mobile devices and desktop systems. Which means you can create your project once and publish it to multiple types of devices, including Apple iPhone and iPad, Android phones and tablets, Amazon Fire, Mac Desktop, Windows Desktop etc. Know more about Corona. 3. SourceTree – It basically simplifies how you interact with your Git repositories so you can only focus on your coding part. Now you don’t need to use the command line. Beginners find it simple to use and experts find it a major tool in making them very productive. Know more about SourceTree. 4. 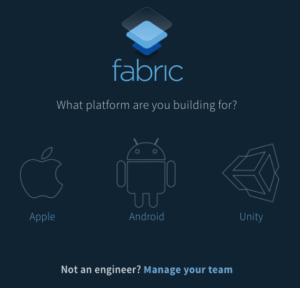 Fabric – It is a platform that enables your team to build better apps, understand user behavior and helps in growing the business. It provides the whole set of features i.e streamlining and automating your beta distribution and app deployment process. Know more about fabric. 5. GenyMotion – It is a Cloud-based Android virtual device to boost your test automation or run your app in your website. It allows a secure and easy compatibility with your testing framework. It also allows smooth interactive access to your app. Know more about GenyMotion. 6. Codota – It enables faster coding and smarter using code completions for your Java IDE. This also helps in reducing the chances of getting any error while coding which indirectly saves a ton of time. Codota lets you find the best code examples which are relevant to your context in the IDE. Know more about codota. 7. B4A – The simple way to develop native Android apps. It includes all features required to quickly develop any type of android app. It consists of modern IDE, powerful WYSIWYG designer, advanced Android features. Thus, it speeds up your development process. Know more about B4A. 8. AIDE – We bet you will fall in love after using this amazing tool. Developing an innovative Android app idea and turning the idea into the next big thing in terms of development. AIDE is a complete integrated development environment for your Android device. Loaded with excellent features such as smart code completion, life error checking, refactoring and code navigation. Know more about AIDE. 9. Vysor – It mirrors your android on your desktop. It gives you high quality mirroring. It gives you the power of integration and ease of an emulator on a physical device. Easy to share with any device, or across the globe. Unleash the power of Vysore here. 10. Colorbox – It is a tool which can be used by both designers as well as developers. It helps in improving UI of your app and generate brand new color palette with colors that match each other. Use Colorbox from here. We hope the above list will help the budding developer in increasing their productivity and they can hone the necessary skills. If you have any other tool which you use in your day to day activity kindly comment below.